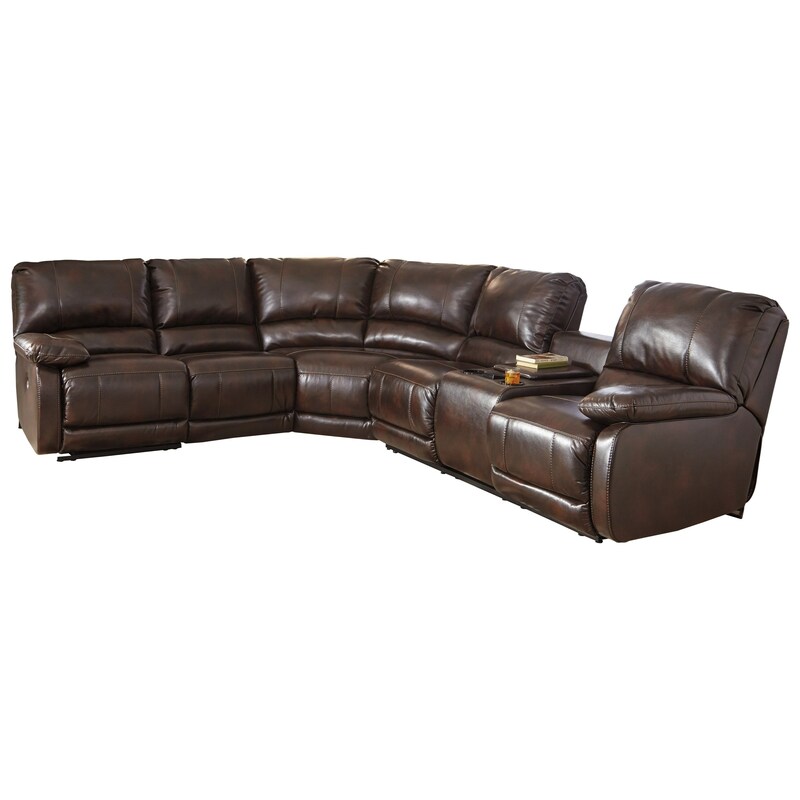 Treat yourself to luxury on game day and movie night with this power reclining sectional. The loveseat with dual power recliners has a center arm rest with a storage console and center touch screen control to activate recline, cup holder cooling and lighting, massage, and heat. It also has USB charging for electronic devices. An additional reclining seat is featured on the other end of the sectional to create a great gathering spot in your living space. Distance required between recliner and wall: 3.00"
The Hallettsville Power Reclining Sectional with Massage, Heat, and Cup Holder Cooling by Signature Design by Ashley at Miskelly Furniture in the Jackson, Pearl, Madison, Ridgeland, Flowood Mississippi area. Product availability may vary. Contact us for the most current availability on this product. The Hallettsville collection is a great option if you are looking for Casual furniture in the Jackson, Pearl, Madison, Ridgeland, Flowood Mississippi area.